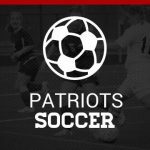 Boys Junior Varsity Soccer, Boys Varsity Soccer · Apr 7 Good Luck, Boys Soccer!!! The boys soccer team will be playing Magnolia West in the Regional Tournament on Friday, April 8, 2016. The game will begin at 1:00 p.m. at Turner Stadium in Humble. Come out and support the team. GO PATRIOTS!!!! 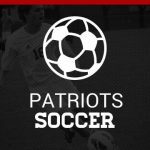 Boys Junior Varsity Soccer, Boys Varsity Soccer · Mar 26 Congrats Boys Soccer!! Bi-District Champs!! Boys Junior Varsity Soccer, Boys Varsity Soccer · Mar 21 GCM Soccer-District Champions!!!! Congratulations to Coach Freeman and the Soccer team for being District Champs!! The first playoff game will be Thursday, March 24, 2016 vs. Crosby at GCM. Please come out and support our soccer team!! Go Patriots! !